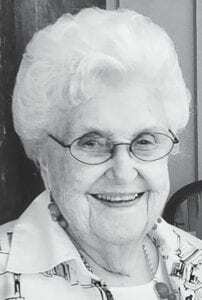 Helen D. Clemons, of Jourdanton, passed away on Sunday, January 13, 2019 at the age of 91. Helen was born on May 3, 1927 to O.G. and Edna (Self) Patterson in Hale Center. She is survived by her daughter, Deana Steinle and husband Al, two grandchildren Marci Steinle and husband Tim, and Dusty Steinle and wife Valerie, and two great grandchildren Aiden and Owen Steinle. Visitation will be on Monday, January 21 at the Hurley Funeral Home in Pleasanton from 9 to 11 a.m., with the funeral to follow at 11 a.m. Private burial will follow.